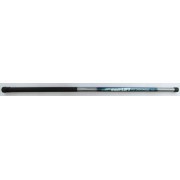 Dinsmores Easi-Lift 3m Put-Over Fishing Fibreglass Landing Net Handle. 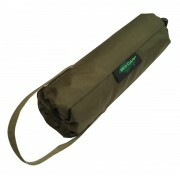 This lightweight but strong 3+1 piece put-over landing net, fits all landing net heads with it's thread tip. Simply screw your net on and your ready for that prize fish to be landed. This specially designed put-over Landing..
Dinsmores Easi-Reach 3m Twin-Thread Put-Over Fishing Landing Net Handle . This lightweight but strong 3 piece put-over landing net, fits all landing net heads with it's thread tip. Simply screw your net on and your ready for that prize fish to be landed. 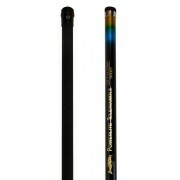 This specially designed put-over Landin..
Dinsmores Powerlite 2 Piece Telescopic Coarse Fishing Landing Net Handle. Features: 2 Piece Strong yet lightweight. Reinforced joints for extra strength. Standard Screw thread fits all landing nets. ..
Dinsmores Powerlite 3 Piece Telescopic Coarse Fishing Landing Net Handle. Features: 3 Piece Strong yet lightweight. Reinforced joints for extra strength. Standard Screw thread fits all landing nets. ..